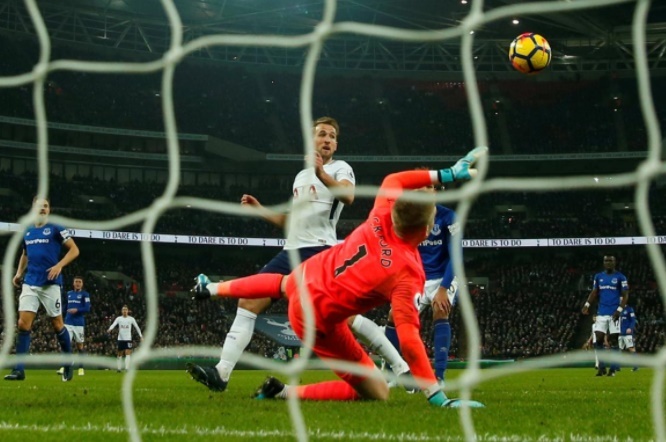 Harry Kane continued his rich scoring streak by netting twice in Tottenham Hotspur’s 4-0 win over Everton at Wembley as Mauricio Pochettino’s side made up ground on third-placed Chelsea who shared a goalless draw with 10-man Leicester City. With three of the top four not playing, fifth-placed Tottenham moved level with Liverpool on 44 points, three behind Chelsea. 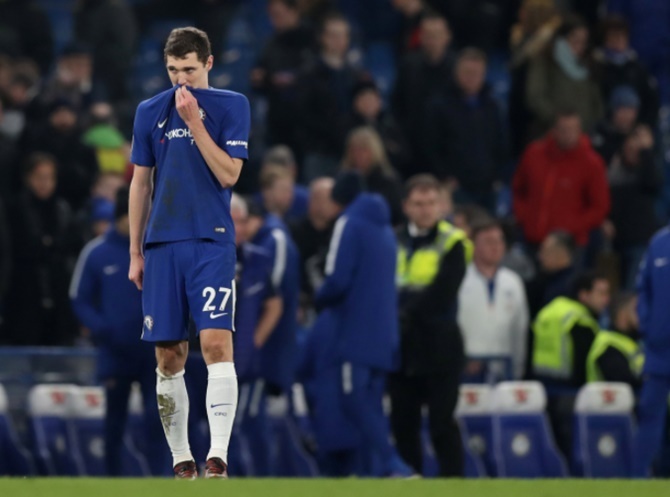 Chelsea were held to a goalless draw at home by 10-man Leicester City on Saturday, handing the advantage to Manchester United in what has become a race for second place in the Premier League behind runaway leaders Manchester City. Chelsea, who drew 0-0 in two cup games before Saturday's return to the league, improved after coach Antonio Conte replaced Eden Hazard and Cesc Fabregas with Pedro and Willian in the 58th minute. Leicester went down to 10 men when defender Ben Chilwell was booked twice in five minutes midway through the second half. But Leicester held on for the draw which leaves Chelsea on 47 points, the same as Manchester United who play on Monday at home to struggling Stoke City. Leaders Manchester City have a 15-point advantage over both clubs. Newcastle United stretched their winless home run in the Premier League to seven games and continued to slide towards the relegation zone after missing an array of chances in a 1-1 home draw with bottom team Swansea City. The result left the Magpies, who had made a bright start to the season, in 14th position on 23 points from as many games, only three more than 18th-placed Stoke City who have a game in hand as they visit Manchester United on Monday. Poor finishing and several fine saves by Lukasz Fabianski kept Newcastle at bay before Jordan Ayew fired the visitors ahead on the hour, heading a Mike van der Hoorn cross past Karl Darlow after the home team's keeper parried his first attempt. Substitute Joselu levelled eight minutes later not long after coming on, threading a sublime finish from a tight angle into the far corner through the legs of defender Alfie Mawson and past the wrong-footed Fabianski. West Ham United's Manuel Lanzini struck twice in the second half as they romped to a 4-1 win at Huddersfield Town. 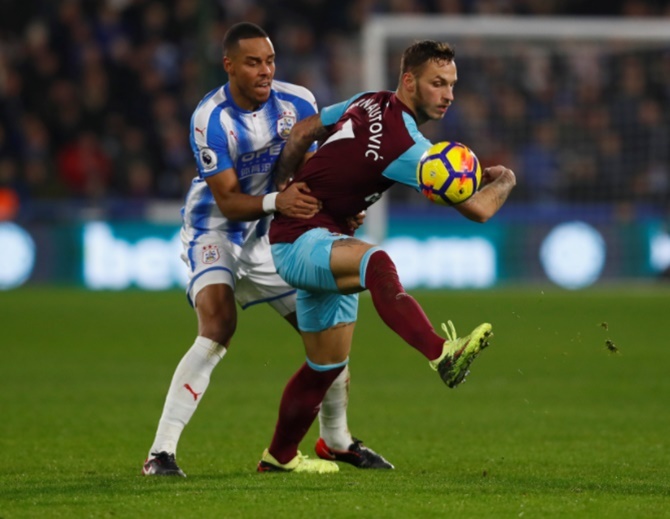 The visitors went ahead as captain Mark Noble burst forward to fire home in the 25th minute after sloppy play from the hosts when Joe Lolley was robbed near the edge of his area after a pass from goalkeeper Jonas Lossl. Lolley made ammends in style five minutes before halftime, beating keeper Adrian with a fine curling left-foot shot. Just seconds after the break, Marko Arnautovic restored West Ham's lead and two confident finishes from Argentine Lanzini made sure of the points for David Moyes' revitalised team. Watford came from 2-0 down to earn a draw with Southampton but the Saints felt they had been robbed of the victory by what they saw as a clear late handball goal from Abdoulaye Doucoure. The Southampton players ended up surrounding the referee after Doucoure's 90th minute leveller. He had stooped to meet Troy Deeney's headed pass but the ball appeared to come off his hand to beat Southampton goalkeeper Alex McCarthy. James Ward-Prowse had earlier struck twice in the first half, in the 20th and 44th minutes, as Southampton looked set to end their dismal nine-match winless streak. Yet lacklustre Watford brought on their totem Deeney and roused themselves in the second half with Andre Gray heading home in the 58th minute before the late drama surrounding the home side's equaliser. Alan Pardew recorded his first Premier League win as West Bromwich Albion manager at the ninth attempt after the Baggies led from the fourth minute to beat Brighton & Hove Albion 2-0 at the Hawthorns. Brighton, who made eight changes from the side who beat Crystal Palace in the FA Cup, fell behind to a well-worked goal when Jonny Evans rose superbly at the back post to head home after Chris Brunt's corner was nudged on by Jay Rodriguez. Chris Hughton's side have only scored in three away games this season and were largely restricted to shots from distance. At the other end, Albion's Matty Phillips thought he had won a penalty when his shot hit Glenn Murray's arm but referee Martin Atkinson waved away the appeal, much to Pardew's fury. That disappointment was soon forgotten after the interval when Craig Dawson headed Albion's second, from another outstanding Brunt corner, as West Brom secured their first win in 21 Premier League games to move within two points of safety. Crystal Palace continued their rise up the Premier League table by beating Burnley 1-0 at Selhurst Park. Bakary Sako scored the only goal of the game with an angled left-foot drive in the 21st minute. Having made the worst start to a top-flight English league campaign with no points or goals after seven matches, Palace are now 12th with 25 points, five clear of the relegation zone. Burnley have gone six league matches without a win but remain seventh in the standings on 34 points from 23 games.